Anna Bolton | Greene County News Sisters Missi Sanders and Nicki Walton work on their wreaths Nov. 28 during a DIY fresh wreath workshop at Tori Beth & Co. in Xenia. Along with hosting workshops, the business offers handmade and upcycled vintage-rustic home goods and gifts on its website at toribethandco.com, through Facebook: Tori Beth & Co. and in pop-up markets. 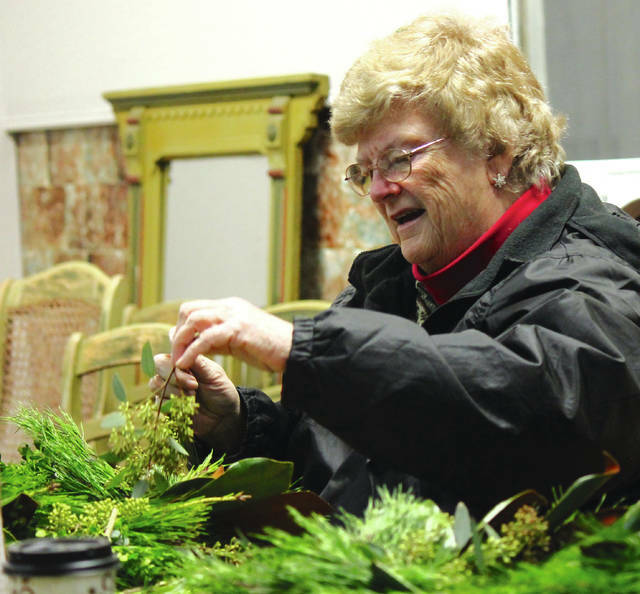 Deloris Eakins, grandmother of business owner Tori Beth King, works on her holiday wreath. Women twist evergreen branches, boxwood leaves, magnolia leaves and other greenery with floral wire to a metal wreath form during the workshop. Sisters Missi Sanders and Nicki Walton work on their wreaths Nov. 28 during a DIY fresh wreath workshop at Tori Beth & Co. in Xenia. Along with hosting workshops, the business offers handmade and upcycled vintage-rustic home goods and gifts on its website at toribethandco.com, through Facebook: Tori Beth & Co. and in pop-up markets. 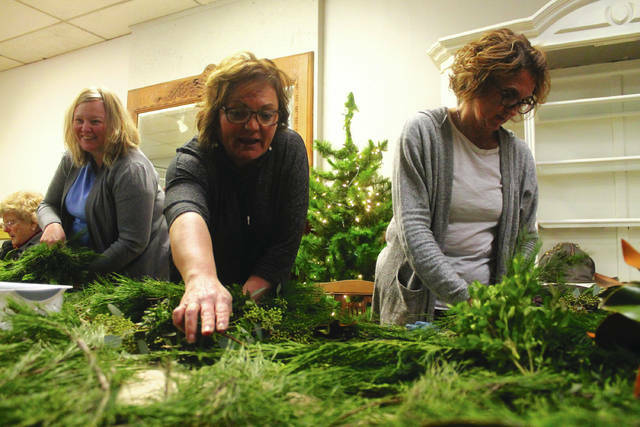 https://www.xeniagazette.com/wp-content/uploads/sites/32/2018/11/web1_WreathReaching.jpgAnna Bolton | Greene County News Sisters Missi Sanders and Nicki Walton work on their wreaths Nov. 28 during a DIY fresh wreath workshop at Tori Beth & Co. in Xenia. Along with hosting workshops, the business offers handmade and upcycled vintage-rustic home goods and gifts on its website at toribethandco.com, through Facebook: Tori Beth & Co. and in pop-up markets. https://www.xeniagazette.com/wp-content/uploads/sites/32/2018/11/web1_TorisGrandma.jpgDeloris Eakins, grandmother of business owner Tori Beth King, works on her holiday wreath. 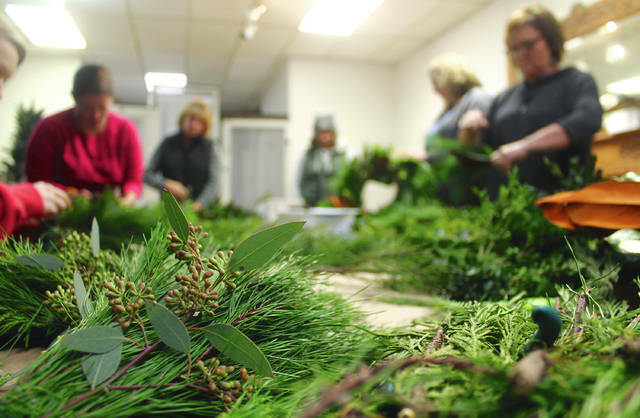 https://www.xeniagazette.com/wp-content/uploads/sites/32/2018/11/web1_WomenWreaths.jpgWomen twist evergreen branches, boxwood leaves, magnolia leaves and other greenery with floral wire to a metal wreath form during the workshop.